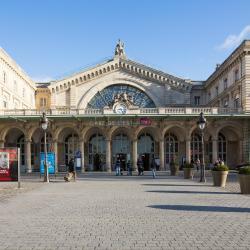 Looking for hotels near Hôtel de Ville Metro Station? 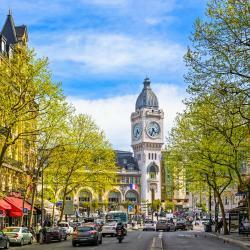 Set in the famous Le Marais district, Le Compostelle is in central Paris, just 1804 feet from the Hotel de Ville. It offers bright rooms with flat-screen TVs. Staff was friendly. My room was lovely and sparkling clean, great value for the money! Hotel Beaubourg is located near the Notre Dame and a few minutes walk from the Centre Pompidou in the popular Marais district. It offers free Wi-Fi throughout the hotel. Perfect location and the best staff in Paris! Hotel Saint-Louis en L'Isle is set in Paris, in the heart of Ile Saint-Louis, 820 feet from Cathedral Noter Dame de Paris and the Latin Quarter. It offers free Wi-Fi access. This hotel was lovely and quaint. The location was perfect!